With the holiday season rapidly approaching, homeowners are starting to prepare their homes for upcoming events and parties. This year, consider hiring the team at our upholstery cleaning service in NJ to give yourself the gift of a deep clean to start off the holiday season! Among the first things people see when they walk into your home is your carpet. Whether you have a light or darker colored carpet, dirt and messes can still show up, creating unsightly stains where you’re looking to impress your friends and family. At Best Way Carpet and Tile Cleaning, our technicians can help you to eliminate stains and maintain a clean and holiday-ready look. With a carpet free of unsightly stains, any issues with your upholstery might stand out even more. During the holiday season, you’ll want to make sure your guests can sit down on couches that are mess-free, which is easily attainable when you work with our NJ upholstery cleaning team. 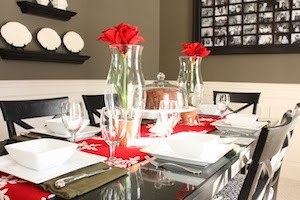 Are you having overnight guests this holiday season? If so, you’ll want to be sure that they can bathe in a bathroom free of dirty tile and grout. In addition to deep cleaning bathroom tile, our team can prepare your tiled kitchen for extra traffic that comes from cooking and gathering in the kitchen during parties. Once you’ve made it through the holiday season, you might notice new stains or messes with the hustle and bustle and extra traffic. If you chose to deep clean your carpets and upholstery on your own before the holidays, consider gifting yourself with a perfectly cleaned home after everything has settled down! At Best Way Carpet and Tile Cleaning, we are proud to offer our customers the services they need to get their home in fantastic shape for the holiday season. Whether you’re prepping for a large family event or simply want to gift yourself with a freshly cleaned home, the team at Best Way Carpet and Tile Cleaning can help. Give us a call at (732) 671-8829 to learn more about our tile, carpet and upholstery cleaning services in NJ. This entry was posted on Sunday, December 1st, 2013 at 11:28 am and is filed under Upholstery Cleaning. Copyright © 2013 BESTWAY Carpet & Tile Cleaning. All rights reserved.